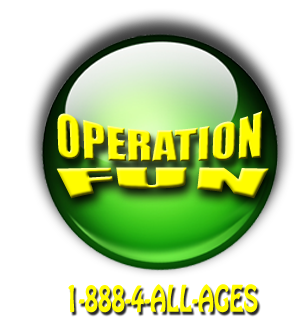 Operation Fun Offers the Best in Long Island Concession Rentals. We offer, Preztels, Cotton Candy, Sno-Kones, Italian Ices, Hot Dogs and Popcorn Machine Rentals. Find the Best Deals on Long Island Party Rentals from Operation Fun. Bounce Castles, Giant Slides, Obstacle Courses, Water Slides and More. Operation Fun offers the widest variety of Inflatable Rentals of any Long Island Party Rental Company. Call us today to book your Long Island party rentals. If you’re looking for Tent Rentals on Long Island look no further. Operation Fun has a large variety of Tent Rental Options for every party or event. We make sure our Tent Rentals are always delivered and set up in advance of your Party. Suffolk County, Nassau County, We have the Best Deals on Long Island Tent Rentals. A full selection of Carnival Game rentals and Carnival Tents for your backyard parties or Birthday Carnivals. Long Island Table and Chair rentals for every size party. Host a giant wedding or rent just one extra table for you world renown Snack Dip. All rental requests accommodated. Sand Art, Spin Art, Temporary Tattoos, Operation Fun offers a wide variety of Arts and Craft Rentals for your child’s Long Island parties.